Taking cold showers might be good for bragging rights, but it’s kind of a horrible thing to do to yourself if you don’t need to. Even people who enjoy a cold shower every once in a while probably wouldn’t want that to be their only option when it came to washing up. If your water heater doesn’t seem moved by the muse of water heating to provide you with a warm shower, you probably have a problem. Read on to find out why your water heater output is low. Water heaters don’t get put under added stress during the winter, the way heaters do. Still, you should keep a sharp eye out for any problems that may develop with the system throughout the year. As is the case with any other home system, the faster you can identify issues, the faster you can have them repaired and the better off your water heater will be. Have a look at a few of the more common issues that are known to afflict water heaters, and what you can do about it. Water heaters are built to last, even under extreme pressure. Which is good, because the water heater is one of the hardest working appliances in the average home. If you have a tank water heater, as most people do, then your system never really turns off. It operates in some capacity at all times, 24/7, in order to maintain a standing supply of hot water for whenever you need it. All that use can create a lot of problems over the years, which is why it’s a good idea to make sure you’re familiar with the warning signs that you need to call for repairs. It can be a difficult thing to gauge exactly what condition your water heater is in at any given moment. You probably use yours multiple times a day, every day, but that doesn’t mean that you’ll be able to easily recognize when there’s a problem. As with most systems, the issues that can develop with water heaters don’t really announce themselves right away. If you want to make sure that your water heater stays in top condition, though, you need to be able to make sure that you can recognize when your system is in trouble. The faster you get it repaired, the less damage is done to it. With that in mind, let’s examine three common warning signs that you need to schedule water heater repairs. Do you ever think about how hard your water heater works for you on a regular basis? You should. The water heater is among the hardest working systems in the average home. Most water heaters never even fully turn off. Instead, they operate day and night to provide a standing supply of hot water at a moment’s notice. Generating all of that hot water puts a lot of wear and tear on your water heater over the years. So, it’s important to take steps to help your water heater last as long as possible. If you want to get the best return on investment for your home’s water heater, follow the tips below. There isn’t much point in having a water heater if it’s not going to provide hot water for you. If your water heater output is dropping, there might be a couple of different things wrong with it. A noticeable drop in water heater output is not something to be taken lightly, as it can easily get worse if left alone. Let’s take a look at the different problems that can lead to water heater output dropping, and what you can do to prevent it. Water heaters are designed to put up with a lot of wear and tear, but they are not invincible systems. They develop problems like any other home system, and those problems can become quite threatening if not handled in time. If you want your water heater to serve you well for as long as possible, you need to be able to recognize when it needs repairs. With that in mind, let’s take a look at some of the common signs that your water heater is in need of repairs. If you’re trying to take a shower, and you get drenched with ice cold water when you were expecting hot, it’s not hard to figure out what the problem is. Your pilot light for your water heater has likely gone out. 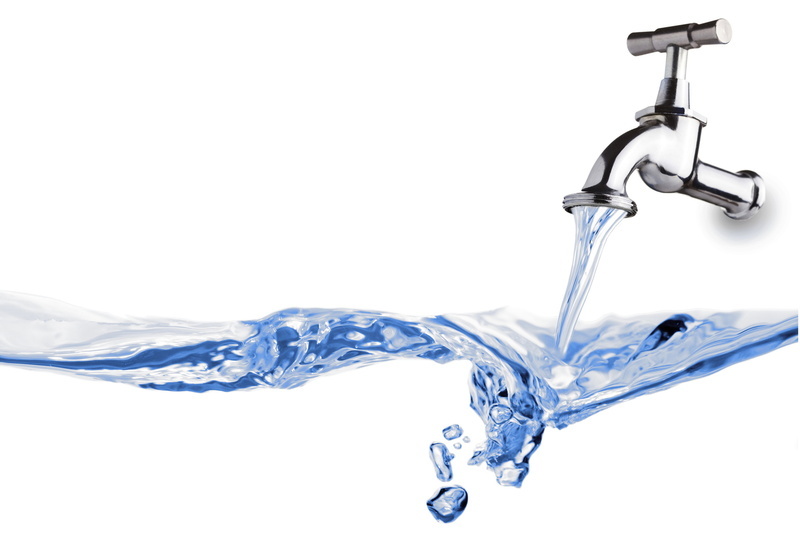 If you’re getting lukewarm water, however, the problem can be a little harder to diagnose. Outwardly, everything could seem to be working fine. Inside your water heater, however, you have a problem. Let’s take a look at what a dip tube is, and why you might need yours replaced. The dip tube is a tube inside your water heater responsible for separating the cold incoming water from the hot outgoing water. It’s a little like a heat exchanger in that way. 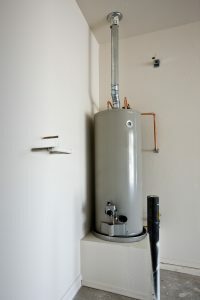 The dip tube is connected directly to the cold water inlet, and extends almost to the bottom of the water heater. When cold water flows into the water heater, the dip tube directs it to the bottom of the tank. Once there, the cold water naturally separates from the warm water rising to the top of the tank. This also helps the cold water to heat faster, as it is closer to the burners. A defective dip tube will corrode and crack over time, causing cold water to disperse throughout the water heater tank and mix with the warm water. This is what causes the water to come out of your faucet tepid. So, how do you tell if your dip tube is responsible for your water heater issues? First, check to see when it was made. Between the years of 1993 and 1997, the vast majority of water heater manufacturers were using plastic dip tubes from one supplier. The problem is that these dip tubes were highly flawed, and have a tendency to disintegrate over time. This has the added problem of scattering plastic pieces throughout the system, which can clog filters and cause damage. If your heater was not made during those years, but you still have an issue, call Carney Plumbing Heating & Cooling. We provide water heater repair services throughout Radnor. What Does the Thermocouple Do on My Water Heater? Without a water heater in your home, the miracle of indoor plumbing (“the best thing since indoor plumbing” is still one of the measuring sticks of progress) will not mean much. You need hot water for many daily activities, so a working water heater is essential. But you also need a safe working water heater, and that’s where the thermocouple comes in. If you, like many homeowners, use a gas-powered water heater, the thermocouple helps prevent the heater from turning into a danger. 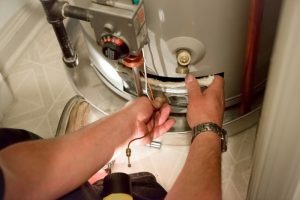 But sometimes the thermocouple itself may need repairs and replacement, and for that you’ll need professionals in water heater repair in Doylestown, PA, like those at Carney Plumbing Heating & Cooling. We offer same day service, satisfaction guaranteed, so make us your first call for restoring your malfunctioning water heater. The thermocouple is a simple safety component made from two strips of different types of metal, joined at one end. 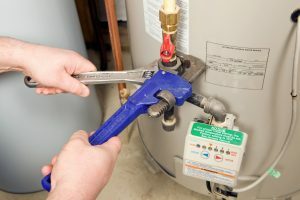 The thermocouple is attached near the pilot light along the burner assembly, with the two ends of the metal placed in the flame of the pilot light, and the other end attached to a shut-off valve for the natural gas line that feeds gas to the burner. Should the pilot light fail, the thermocouple will automatically close off the gas line and prevent the combustion chamber from flooding with unburned gas, creating a major hazard of explosion from even the smallest spark. The way a thermocouple does this task is through a principle known as the “Seebeck Effect.” The Seebeck Effect describes how two different types of metal in proximity to each other will create an electric current when exposed to heat. The higher the heat, the stronger the current. This makes a thermocouple a crude temperature sensor. As long as electric current runs through the thermocouple because of the heat of the pilot light, the current keeps the valve open. If the pilot fails, so does the current, and the valve automatically closes. Not all water heaters use a thermocouple. Some of the more recent models use a mercury sensor to shut off the gas valve. An electric water heaters don’t use gas at all, and therefore doesn’t need any kind of emergency gas shut off. Thermocouples can fail and require replacement. To make sure that your water heater remains safe all year long, have a yearly maintenance visit from a professional to detect any troubles such as failing thermocouples. The experts at Carney Plumbing Heating & Cooling can help you with maintenance and any water heater repair in Doylestown, PA that you need. Call us today. Posted in Plumbing, Water Heaters | Comments Off on What Does the Thermocouple Do on My Water Heater?